Explore over 400 expertly curated stories with your students, and bring the past to life in relevant and innovative ways. 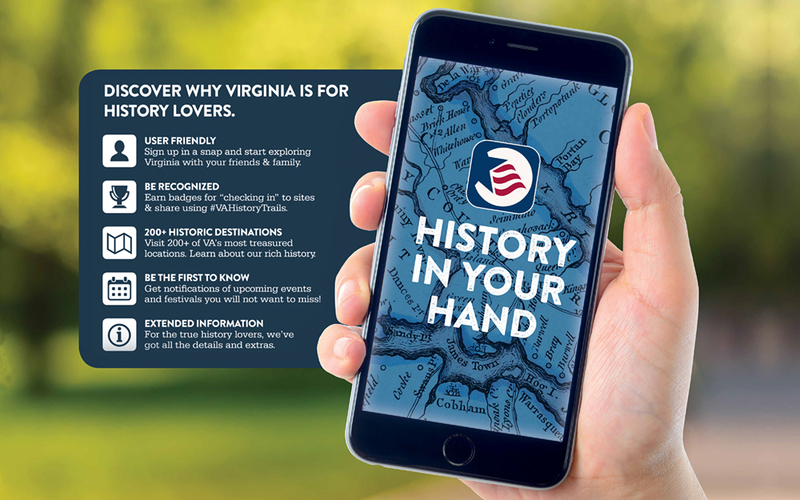 Download the app for free or visit AE Stories to access the Virginia History Trails in web format. Check out ideas for how to use the app with your students below. Have an idea for how to use the Virginia History Trails app in your classroom? Email us at 2019education@jyf.virginia.gov and let us know. Virginia has hundreds of museums and historic places and thousands of historic markers. How do you sift through them all to find the stories that interest you? You hit the trails— the Virginia History Trails. They are easy to find and easy to follow. And with 20 trails containing 400 stories, the Virginia History Trails are easy to love. Virginia blazed a trail that America followed. Which makes Virginia’s history your history. And the smartest way to explore your history is through Virginia History Trails.